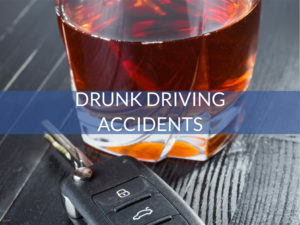 Miami Drunk Driving Accident Lawyer & Miami Wrongful Death Attorney. We understand that no amount of money can replace a parent or child. Often, the surviving family members are too preoccupied with grief to contemplate lawsuits against possible at-fault parties, and rightly so. At Perkins Law Offices, we confidentially counsel families about their rights and potential causes of action if your loved one is killed because of the wrongful conduct of another person or corporate entity. We try to make the process as least intrusive as possible. It is important for the those who have lost loved ones to understand that special laws apply to cases involving death. 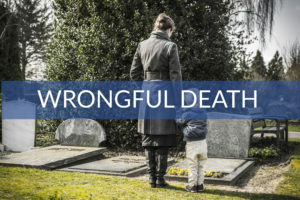 Wrongful Death statutes vary from state to state and define who may sue and the type of damages that may be recovered. Florida has the Wrongful Death Act. It is found in Florida Statutes Sections 768.16-768.26. In particular, families must keep in mind that the statute of limitations for a wrongful death claim in Florida is only 2 years. Most other negligence based law suits like car accidents and slip and falls have 4 year statutes. This means that if you do not file a lawsuit within 2 years of the death, you can never bring a lawsuit. There are very few exceptions to that harsh rule. This very short statute of limitations can run very fast when a person is in mourning and the last thing on their mind is a lawsuit about money. Attorney Alex Perkins understands these concerns and counsels his clients through these difficult times. Victims of wrongful death have specific rights in Florida, and Perkins Law Offices works tirelessly to secure the maximum financial recovery allowed by Florida law. A wrongful death may be due to an intentional or unintentional act. An example of negligence resulting in a Wrongful Death is if a person on a motorcycle is struck and killed by another motorist who ran a red light. Other examples of negligent Wrongful Death would be if a condo association or homeowner failed to enclose a swimming pool and a child drowned; or a company that manufactures medicine that did not follow proper quality control procedures and made a tainted batch killing those who took it; or if a doctor does not interpret test results accurately and does not provide the correct medical intervention ultimately killing a patient that could have easily been saved. In all of these different situations, the negligent parties may be held liable for the economic damages and emotional pain and suffering caused to the family members. The same goes for intentional acts that result in death. For example a drunk driver who crashes killing their passengers, may be held liable for Wrongful Death. Another example of an intentional Wrongful Death is if two men get into a verbal altercation leading one of the men to hit or shoot the other man dead. Even though those intentional acts are illegal and can lead to criminal charges and prison, civil case for money damages may be brought by the survivors of the victim. A Wrongful Death lawsuit is separate and distinct from any related criminal charges brought by the state. The burden of proof is different in a civil case than it is in a criminal case. Therefore, a defendant acquitted of murder in a criminal trial, may still be successfully sued in a civil action by the victim’s family for Wrongful Death.